Has this ever happened to you? You wake up, get dressed, and go to work, thinking it’s just an ordinary day. When you get there, you see people dressed with a little extra pink or red, and co-workers are exchanging candy and cards. There are even a few on your desk too! You take a look and realize – oh crap! It’s Valentine’s Day! Did you plan something with your beloved? Did you remember to get gifts, cards, or even wish a Happy Valentine’s Day yet? Don’t get stuck in the dog house this year! Get ready and plan out your holiday right now! Order any gifts you want, schedule any activities you plan to do, make reservations to that restaurant, or at least plan a menu you are going to cook so you aren’t stuck with fast food or take out, or just another “quickie” meal this Valentine’s Day. However, maybe you don’t want “just another” regular Valentine’s Day. Maybe you don’t want to do the whole restaurant deal. In that case, try something new! 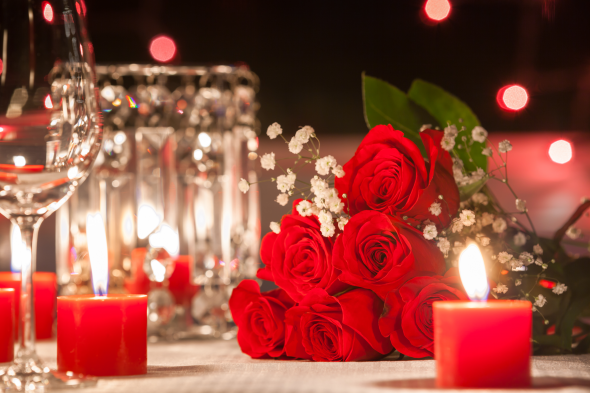 Here are some fun and creative ideas for how you can change it up this Valentine’s Day – and won’t you look super prepared and creative?? Find an event at a Zoo or Aquarium near you. Many of these places will actually hold events just for Valentine’s Day, so check out local zoos or aquariums and check out their upcoming events. Go Ice Skating. Since it’s still in the “winter” season, most ice skating rinks will still be open and ready for a special date night out. This is fun, interesting, and gives you the opportunity to hold on to one another. Visit a museum. This is easily something you can do before or after Valentine’s Day, and you get a chance to both experience a little culture and explore some history. There are many great museums, so check them out! A comedy show! Taking your loved one out to see some comedians is always a good idea. The drinks, the laughs, and the snacks are sure to put a smile on their face that isn’t going away any time soon. There are improv and comedy locations all over! A spa day! Whether you can schedule a spa day as a couple or send your beloved one to a spa day to come home happy and relax, this is always a good idea! And, if you don’t or can’t go to a spa location, you can always do one at home, using something like the Spa Gift Basket. You can set up a good movie, or some pleasant music, get a bath all warmed up and ready, and let your loved one enjoy some peace and quiet personal time. Or better yet – share a bath and make it personal time for the two of you together! This would go great with some chocolate covered strawberries and flowers as well. Go to the movies. There are plenty of movies available at all times, so you’ll want to look ahead and see what movies your significant other is going to want to see. However, if there are no movies you want to see, or you’ve already seen them all, check out Amazon Prime Videos for other movies that may interest you.